What do you get when you strip the air conditioning, radio and even cupholders out of an already fast car, like Porsche’s Boxster S? 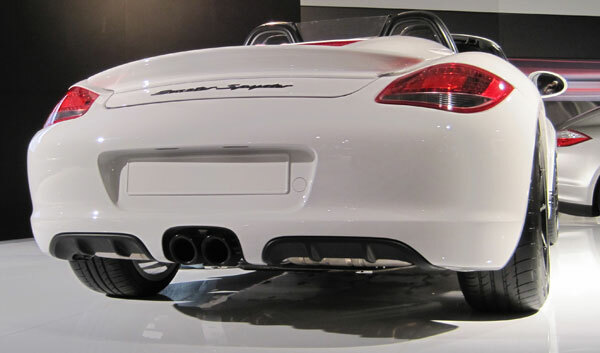 An even faster (and somehow even more expensive) car: The 2011 Boxster Spyder. To stylistically differentiate it from its cheaper, softer cousins, the Boxster Spyder also features a manual canvas droptop, a curvaceous deck lid, and a stripe running down each door. 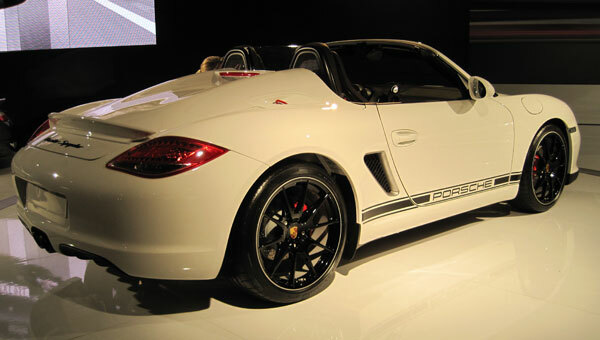 The Boxster Spyder will begin selling February 2010 with a base price of$61,200.